Harvest House Publishers, 9780736974745, 32pp. Brock Eastman is the author of The Imagination Station: Showdown with the Shepherd and The Quest for Truth series. Previously, he was a producer and podcast host for Adventures in Odyssey. Brock has extensive experience marketing kids and parenting products in the Christian industry. He lives in Colorado with his wife, four kids, two cats, and leopard gecko.David Miles is an illustrator located in Kalamazoo, MI who specializes in book illustration, character design, concept art, advertising, and beyond. Kinley Eastman is six years old and is learning to read. She enjoys gymnastics and swimming. Kinley is a natural leader and is never afraid to make new friends. 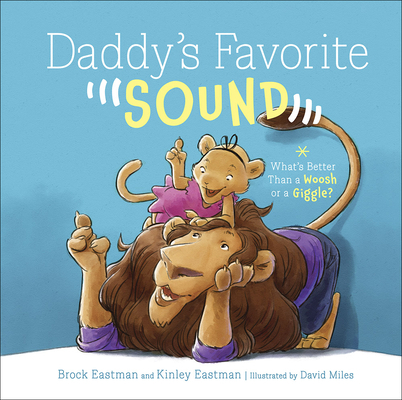 She came up with the idea for Daddy's Favorite Sound when she was just three years old. This is her first book though she has written many other "books" on her daddy's computer.